Pressed, pleasant, and proper. 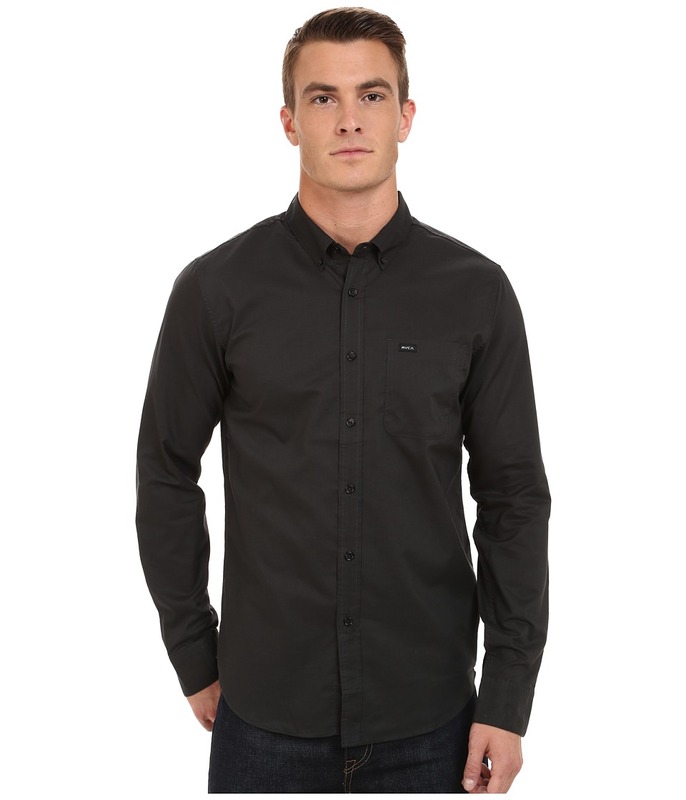 That~ll Do for us all with this RVCA button up. Comfortable cotton button up. Spread collar. Full button-up front closure. Long sleeves with buttoned cuffs. One chest pocket. RVCA logo at left chest. Shirttail hem. 60 percent cotton, 40 percent polyester. Machine wash cold, tumble dry low. Imported. Measurements: Length: 30 in Chest Measurement: 44 in Sleeve Length: 36 in Product measurements were taken using size MD. Please note that measurements may vary by size.